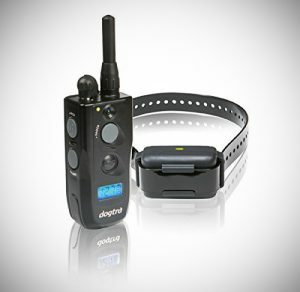 Dogtra Shock Collar Reviews - Are they Worth the Hype? 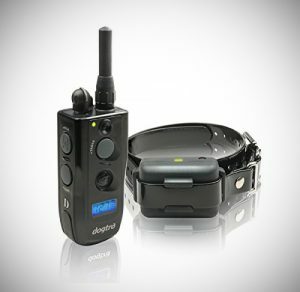 Dogtra Shock Collar Reviews – Are they Worth the Hype? Dogtra have a host of different shock trailers available all with different features and qualities. I have had the privilege of being able to test of host of them and compare them to find the best options. Below are my favorite 3 options that I feel offer all the best quality and value for money and all the features that you need. Let me explain. Some of the main features of this collar is the range which extends to ¾ mile with is more than enough. The rheostat has 127 levels of stimulation so you have plenty of adjustment and flexibility there. Due to having the big range of available stimulation levels you will always be able to find the perfect amount for your dog big or small, alpha or beta. This collar has an ergonomic design which is a good element to have implemented. Typically, the receiver would have a piece on the collar on the outside which makes it obvious what type of collar you are using but with this one its built into the shape and much less noticeable than the prior. So if you are looking for a e-collar that doesn’t stand out this is a great choice. When it comes to battery life I have to charge it roughly once a week and I am using it every day. So, battery life is more than plentiful even for a heavier user. When it comes to quality this Dogtra has absolutely amazing quality as Dogtra know themselves as they have named it the platinum system. Both the collar and the receiver are strong and feel high quality products that are going to last for years and years to come. When it comes to stimulation there are 127 different levels available which offers plenty of adjustability when choosing the right amount and slowly increasing or decreasing the limit accordingly. There are 3 options when it comes to stimulation, one being constant, one running for just a second and one when the device is not stimulating at all. So again, you have the flexibility to use it as you see fit. In my testing on my husky I never had to use above the 20-30 range as he responded well at that level. I also want to make the point that for a lot of dogs the lower amounts will be more than necessary and it not painful or sore for your pet, it’s more like a tickle or similar to the feeling of pins and needles at this lower level(20-30). This collar has a range of ½ mile which should be more than enough for most situations but if you feel you need more range maybe #3 would be a better option for you. Another great and practical feature that you don’t see sometimes especially on poorer brands is no waterproofing. With this set, everything is waterproofed including the transmitter which offers practicality and usability for people who have to use them in the rain or even in damp environments. The stimulation level is shown on the LCD screen along with the remaining battery life( on a 3 bar indicator). While this particular dogtra has some different variations I personally used the 1/2 mile max options(Obsolette 1900NCP). This system can be used for 1-4 dogs at any one time and as I suggested at a 1/2 mile range. When it comes to toughness and build quality this is 100% my favorite option. Everything is top notch and is built to last. 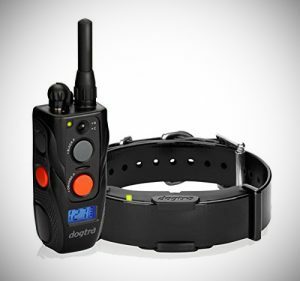 This collar has a vibration mode and after reading some other Dogtra collars reviews it seems some people don’t even need to make use of the shock effect and the vibration mode in of itself is enough. Of course, just like the other Dogra you have the 127 levels of stimulations that can be applied as a constant or as a nick. Like the number 2 option everything is waterproofed which is very practical. When it comes to the battery life -it’s great and I only have to charge it one every week or 2 and that’s with everyday usage. Everything about this Dogtra collar and most Dogtra I have used is that they are all great products particularly the ones I have here, they offer everything you would want and need from a collar and for products with such quality and durablility its extremely easy for me to recommend you pick one up. David here. A computer science graduate and website designer. I started flipflopsandapplesauce.com to contribute unbiased reviews and round ups. /// Flipflopsandapplesauce.com is participant in the Amazon Services LLC Associates Program, an affiliate advertising program designed to provide a means for us to earn fees by linking to Amazon.com and affiliated sites. © Copyright © 2017 · FlipFlopsandAppleSauce, All Rights Reserved.